" ... the rain had stopped and the velvet sky was bright with stars. In the garden the fireflies were flitting here and there. From the earth rose a scented warmth and you felt that if you stopped you would hear the growth of the luxuriant vegetation. A white flower of the night gave forth an overwhelming perfume. 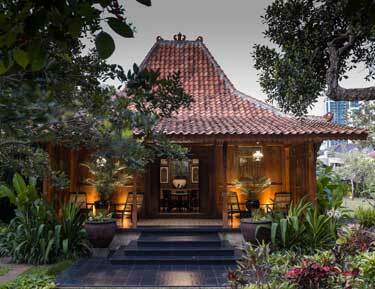 In the veranda ..."
Veranda, your hidden haven, encompasses a 1.1 hectare compound with 24 villas, and four townhouses units, located in a quiet South Jakarta location. Veranda offers 24-hour security services, gated entry, 16,500 watt/unit power supply, and emergency generator backup system. 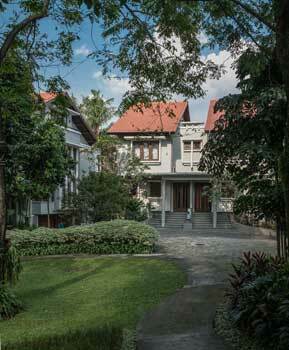 The complex is strategically located between Jl. Panglima Polim and Jl. 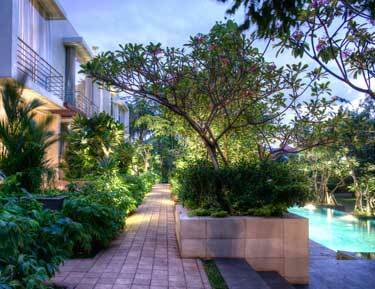 Prapanca, and only a 15-minute drive to JIS, Pondok Indah Mall, and Kemang. 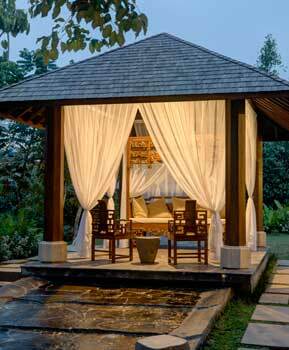 Escape from the daily hustle and bustle of Jakarta with Veranda's private villa lifestyle. Relax, enjoy a quiet drink, or read the newspaper while enjoying the scented breeze and the sound of water from your private terrace. 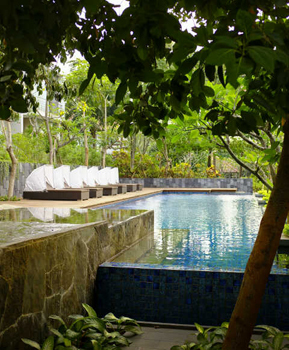 Garden amenities include secure internal layout, swimming pool, children’s pool, gymnasium, playground, BBQ, and jogging track. Veranda private villas offer a private area for everyone in the family with an expansive terrace, master bedroom with a garden view, two bedrooms, 2½ baths, optional loft study, breakfast bar, family room, dining room, kitchen, laundry and line drying area, and servants' quarters. 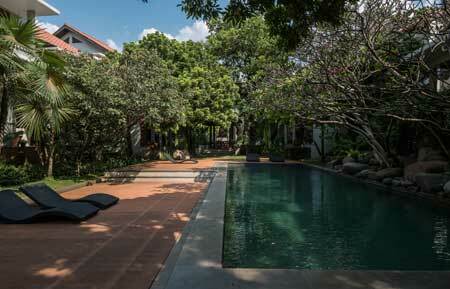 Each villa is equipped with a two-car semi-basement garage. 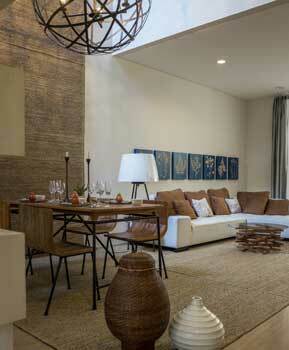 Veranda Private Villas are finished with some of the highest quality natural materials. Marble floors can be found in the living and dining areas and wood parquet flooring in the bedrooms. Exterior terraces are covered in natural stone and doors and windows are made from wood with a clear natural finish.